Australian Open tennis Finals this weekend. Australia Day long weekend which could generate some interstate and regional visitors. NBL – Melbourne Tigers v Adelaide 36ers Sunday at the State Netball and Hockey Centre. Cricket – Australia v Sri Lanka in a T20 match at MCG Monday evening. Cruise Ships – “Voyager of the Seas” and “Silver Shadow” – Tuesday 29th January. Disney Live! Mickey’s Rockin’ Road Show – Melbourne Convention Centre 26th and 27th. A clothing retailer talks about free advertising through social media but points out that money saved requires much more time and effort. IGA Chairman attacks predatory tactics by Coles & Woolworths for harmful impact on small producers. Australia’s December retail sales nearly 1% lower than last year. Zamels fined $250,000 for misleading customers on the size of savings in advertising. Brazilian fast food chain wraps its burgers in edible paper. China’s December retail sales up 15.2% on previous year. Australia’s online fashion retailer The Iconic to receive $25 million cash injection from US venture capital firm. Shopping centre owner, Centro, to change its name to Federation Centres. 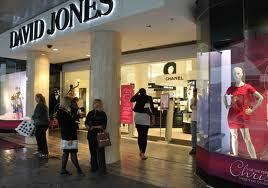 Bonds to launch a new outlet store at Birkenhead Point Factory Outlet Centre in Drummoyne, Sydney. Foodland, IGA and Foodworks owners form new alliance in SA to tackle Coles and Woolworths duopoly. McDonalds continues to warn of tough trading conditions in fast food. Ikea reports an 8% rise in full year profit as consumers look for savings. Specialty Fashion Group (Katies & Millers) expect first half profit to triple on the back of cost cutting and improved sales. Noni B expects 30% drop in first half profit following store expansion program. Back To School buying spikes online sales. Imagine you have a disagreement with your boss and you find yourself out of a job. It all happens so quickly and you feel badly treated, but you get back on the bike and start peddling again. Your path is quite clear. You look for another job and re-direct your career. But imagine you owned a book store 10 years ago. The digital age was starting to impact your business and you knew you were losing money but in this scenario the choices are not so clear. This is all happening in a fog of time and nobody is going to fire you. You are still earning some income and perhaps you can tweak a few things and ride out the storm. Few bookstores have done that successfully. I want to make it clear that I am not identifying The Queen Victoria Market as the bookstore in this example. A leading international retail adviser recently identified the perfect retail environment as an exciting combination of The Grand Bazaar in Istanbul, Covent Garden in London, and The Queen Victoria Market in Melbourne. But some of our stalls may be "book stores" and all traders owe it to themselves to see through the fog of declining business and make clear concise business decisions that will protect their future. I'd rather walk on broken glass than raise trader's hopes unreasonably, but sitting on the fence isn't attractive either and, whilst nobody is forcing me to make a prediction, I'm going for an optimistic outlook for 2013. There are a few reasons. Firstly, the Australian share market has reached its highest level in 20 months. The general outlook for our share market appears to be bright. For some commentators it is simply because a positive start in January generally translates to a positive year. For others it is because lowering interest rates make shares more attractive and as investment money flows into shares, their prices go up. Either way, I'm claiming a positive trend. Secondly, our latest inflation rate has come in below expectations. That makes the chance of an interest rate cut more likely. 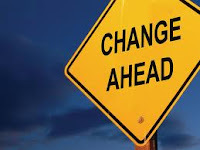 Now, recent rate cuts have done little for consumer confidence but I am banking on a cumulative effect that will finally convince consumers they can loosen the purse strings just a little. Thirdly, consumer confidence is marginally stronger. For three months in a row optimists have out-numbered pessimists whereas, for 14 of the previous 16 months it was the other way around. I think all that justifies a whiff (a small amount, tinge, touch or smattering) of optimism. Let's hope I'm right. I was reading an article on entrepreneur.com about negotiating deals and the first rule seemed particularly relevant to retailing. That rule was "Always start the negotiation". The writer explained that to get the upper hand in the negotiations you needed to set the agenda. In retail, if you let the customer ask the first question the best you can hope for is "May I have one of those?" However the first question may also be "What is the best price you can do that for?" and then your negotiation becomes bogged down on a price discussion. 1. Vodafone shuts down Crazy John outlets to focus on alternative investments. 2. Facebook launches new search function. 3. Woolworths and Wesfarmers feature in global retail top 20 list. 4. Bureau of Statistics show tourism into Australia up 6.9% on last year. 5. 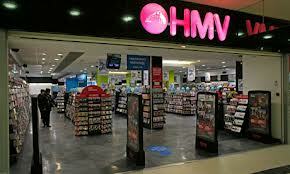 UK music retailer, HMV, goes into administration due to weak sales and a tough market. 6. Fair Work Australia find more than 120 fast food outlets in Brisbane centres have breached wages provisions. 7. New security system in McDonalds sprays offenders with traceable location identity liquid. 8. Dymocks create Lonely Planet hub in their premier Sydney store. 9. Country Road sales increase by 55% after acquiring Witchery. 10. 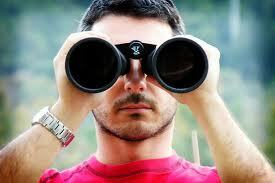 The optometry industry expected to grow less than half a percent in 2013 despite ageing population. 11. Victoria’s new red tape commissioner appointed to boost productivity and reduce business costs. 12. Ebay’s fourth quarter surges to produce record year. Andy has 18 “likes” on start-up and needs another 12 to get the full analytics status from Facebook. From there on it is a matter of building up ”likes” so that his posts get wider coverage. Facebook is an excellent way to communicate with your customers. It is easy to maintain, add photos, and experiment with new ideas. Facebook can be operated from a desktop, laptop, tablet or smartphone, and it is free. If you are interested in setting up a business Facebook page, check out our article (http://www.victraders.com/2013/01/how-to-set-up-your-business-facebook.html ) or ring Greg Smith on 0406 222 020. FACEBOOK TIP - Terminology in Facebook can be a little confusing but basically “likes” are friends or, for us, customers. The first time a customer “likes” your page, your “likes” count goes up and they automatically receive all your future posts. Subsequent likes by that customer don’t add to your friends count but they are a useful guide on how customers view the content of your individual posts. For instance, a high number of likes on a post about a new product in your range can be a guide to its potential success. Inspiration can come from many sources and is particularly sought at the start of a new year. Many business people consider TED Talks a great source of creative thinking. 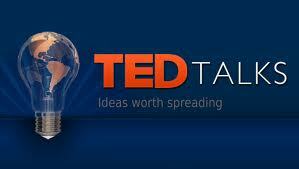 TED Talks are a series of short presentations (maximum 18 minutes) made by significant world figures and entrepreneurs. Think Bill Clinton, Bill Gates, Jane Goodall, Al Gore, and a whole host of business leaders, and Nobel Prize winners. The talks are available for free online viewing and are described as "ideas worth spreading". In a sad week for traditional retailing two retail icons, HMV and Blockbuster, have called in the administrators in the UK. Both names are familiar to Australian consumers although HMV closed their last store in Australia in 2010. The inevitable post mortems have brought up 3 key factors in their demise. 1. Both companies failed to adjust adequately to the online trends that started probably 15 years ago. 2. The financial backers of both companies continued to provide financial support despite declining business conditions. 3. Consumers stopped buying. The public disappointment has been loud and clear but the public went to more attractive options when making their buying decisions. Failing to meet the needs of a changing retail environment has ramifications for all areas of retailing. Many retailers are embracing the new way of communicating with customers as social media avenues like Facebook, Foursquare, and Twitter grow their influence. However the same avenues can catch the unwary with dire consequences. Food chain, Subway, was recently the victim of a Facebook campaign that focussed on a Subway foot long sandwich that was only 11 inches long. In quick time over 100,000 people had “liked” the post that was calling for an explanation from Subway. We say “victim” although obviously any retailer needs to make sure its core claims are met, and Subway admitted this size discrepancy should not exist. Subway will survive the publicity but the speed and efficiency with which this sort of adverse news can spread is a lesson for all retailers. Like all new Facebook pages they will start off with a small number of “likes” so please help out by heading over to their page and “like” it. 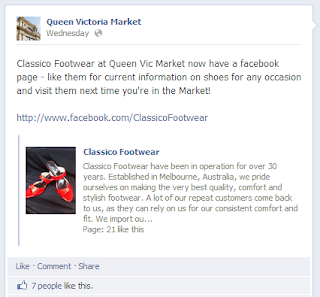 QVM have posted Classico Shoes on their own Facebook wall and exposed the business to their 17,000 friends. 1. Australian Tennis Open fires up this week in Melbourne. 2. A League – Melbourne Heart V Adelaide United Friday 7:30pm AAMI Park. “Celebrity Solstice” Saturday 19th January. “Seven Seas Voyager” Sunday 20th January. “Dawn Princess” Wednesday 23rd January. 4. Melbourne Honeymoon & Bridal Expo – Melbourne Convention Centre Sunday 20th January. 5. Disney Live – Mickey’s Rockin Road Show – Melbourne Convention Centre Wednesday 23-27th January. Before you get too excited I should explain that this is simply an idea from a trader that they would like aired. The proposition is that the market trade on a Tuesday evening like the Wednesday night market but with General Merchandise Traders populating the trading space. Our proposer suggests that there would be no alcohol and limited food but the timing would give families and tourists the opportunity to see our general merchandise offer in a different time slot. The MCC is certainly keen to have the market’s idle hours used more and, after a few years of flat trading, traders are keen to try new ways of exciting our customers. There are plenty of questions to be answered – do we simply transfer the Tuesday day market to night? Do we run two markets on the one day? 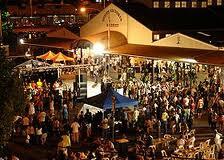 Can a night market be sustained without the income from extra food vendors (at higher rents)? Should we look at other days/nights? There are lots of aspects to consider and we welcome your input. One positive aspect is that a trial is probably not going to cost anybody too much. Worth a try? Give us your thoughts below. If you ask QVM traders their top wish for 2013, most will say “more customers”. It is not exactly rocket science that getting more of the right customers past your stall gives you a better chance of achieving sales targets. Buskers can play a role in the whole process. Attracting more customers comes down to media promotion but getting them to visit once is not enough. We need to create the excitement that will have them coming back and telling their friends about the experience. Traders play the biggest part by offering a high level shopping experience but buskers can help create the buzz and excitement that makes a trip to QVM memorable. It is all about entertaining the customer. Like everything else we do at QVM this process needs to be done well. Not all buskers are going to suit our environment. QVM is not just a public place, it is a shopping precinct where business is the prime activity. Assessing the views of the public, traders, and the buskers, will be important to successful integration. 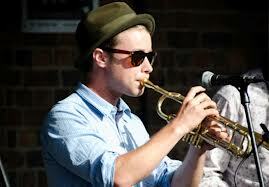 And don’t forget, if you like what a busker is doing for your business, a gold coin wouldn’t go astray. After all, this is business, and they have a living to make as well. 1. Specialty Fashion Group loses La Senza licence. 2. New music app allows retailers to chose in-shop music. 3. Three Pie Face franchisees plan to sue parent company claiming misled over costs and profits. 4. McDonalds to re-sign selected stores to “Maccas” for Australia Day period. 5. Chinese the world’s biggest luxury spenders. 6. QVM introduce Street Performance Festival 4th-27th January. 7. Federal Government to review franchising sector. 8. Selected AMP shopping centres trialled free wi-fi leading into Christmas. 9. Complaints that extreme supermarket price reductions like $1 bread are anti-competitive. 10. Fountain Gate Shopping Centre’s re-development makes it second largest in Australia. 11. Melbourne based gelato franchise, Trampoline Gelato opens first store in Queensland. 12. Australian dollar continues to show strength against major currencies. 13. Despite tough economic conditions, Australian new car sales rose 10.3% in 2012. Major retailers like Myer and David Jones are acutely aware of the price transparency created by our digital age and they are making changes to accommodate the new standards. Products with global exposure are coming down in price as consumers search the globe for the best deal. Put simply, our major retailers are refusing to stock lines if they can’t get within 20% of the worldwide price. The days of suppliers seeing Australia as a cash cow with consumers prepared to pay above the odds, appear to have gone. The process is called “price harmonisation” which is another way of saying that department stores are insisting that suppliers introduce pricing arrangements that allow local retailers to compete with their online competitors. Australian consumers prefer to buy online from Australian companies and are prepared to wear price differences between 10% and 20%, but not more. The old retail structure in Australia allowed high margin sales. Changing that structure to allow competition is causing real headaches for all retailers. November retail sales have disappointed commentators with a slight fall after a flat October. The fall was only 0.1% but the trend is a cause for concern, particularly considering the interest rate cut in October. Household goods fell 0.9% while clothing, footwear and accessories fell 0.6%. More specifically, there was a large 1.8 per cent fall in hardware, building and garden supplies, a 1.6 per cent slide in furniture and floor coverings, a 2 per cent slump in footwear and personal accessories, and a 0.4 per cent fall for cafes and restaurants. One interesting statistic showed that larger stores ( + 5% year on year) did better than small stores ( -0.8% year on year). Small percentage variations like those recorded above can be reversed in the following months figures so we will watch December sales results with interest. It always seemed that the top end of the QVM missed out on entertainment with buskers generally being located in Queen St. or more recently String Bean Alley. Busking can be an important ingredient in creating a “buzz” for shoppers and it is certainly a key for the Suzuki Night Market which is a big crowd drawer. The introduction of buskers into the top end of the day market this week is a welcome initiative. Apparently not all traders were enthusiastic about this form of entertainment but we have a number of reports of traders who felt the buskers made a positive contribution to sales. Keep us informed of your experience by clicking on the "Have Your Say" link at the top of this page. 13/01/2013 06:46:28 buskers "A refreshing initiative (for a change)!!" 1. Cricket One Day International Australia V Sri Lanka MCG Friday 11th. 2. Australian Open Tennis at Melbourne Park – competition commences Monday 14th. 3. Cruise Ship – “Diamond Princess” – Tuesday 15th January. Trader’s who receive our Facebook feed will be aware that Pete gives us a racing tip each week. Horse racing relies on punters losing more than they win – that’s one of the ways they finance their industry – but Pete managed to beat the odds in 2011 and ended up $127.50 ahead. Well, he’s done it again in 2012 with a late flurry of winners and a plus balance of $145. That may not sound like a lot of money but, with a $10 E/W bet over 48 weeks, it represents a return of around 15%. Now, if we can just steer Pete’s attention to the share market. Disclaimer – Victraders do not recommend gambling as anything other than entertainment for informed adults. As we prepare for a new year, many traders are giving thought to a retail strategy. Waiting for things to change isn't likely to achieve much. Here is one trader's view of what 2013 will bring. 1. Business - the basic retail sales environment is not going to change much. Retail and research organisations are predicting single digit increases over the next 12 months (1-2%). Traders who want more than that will have to generate their own change. 2. Digital connections with customers will become more important. Many traders have been comfortable ignoring the steady trickle of digital innovations - social media, web access, smartphones - but that trickle has become a flow, and before long will become a torrent. 3. Traders will leave. Business has been tough for three years now and more traders who have been supplementing their business incomes with savings will call it quits. 4. Stall and Product Mix Changes - management have already been active in subtle stall moves and adjustments to traffic flow with things like new causeways. Expect more of the same. 5. After years of neglect, the MCC will become more involved in the operation of the QVM. 6. Grand plans for the re-development of the QVM (including car parking) appear to have stalled. The State Government has announced some major projects in recent months and we are not amongst them. Patience is not a virtue for many traders but we may need to be patient for a while longer and concentrate on internal improvements in the meantime - perhaps with a bit of help from MCC funding. What do you think will happen in 2013? What are your fears and aspirations? 06/01/2013 22:22:49 Time to leave "Another year gone and queen vic is still not making a profit. Management are unwilling to make decisions on how to advertise general merchandise. Telling us to give discounts on our products but not willing to discount their product. After all, queen vic management is no more than rent collectors, spending too much time on facebook and twitter. And calling it advertising. * Moving furniture around is not a solution . Queen Vic is fast becoming like a milk bar with an empty fridge, and as the fridge gets less in it, less people are going to come and we are left with the decision on when to close or empty our bank account waiting or trying different products. Either way we are experimenting with, and losing our money. In the last five years I have personally watched a lot of people ( good people) who were making lots of money, now making little or closed. These were people who were in business for a long time through many changes of government. The queen Vic management must look to the future, after all. The great success of the Suzuki market can not continue if there is no general traders paying the rent for the rest of the year. I'm now in a position to close my store in 2013 as my web page goes through the roof with sales that I am not getting from queen vic market. 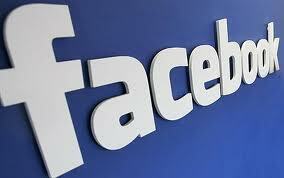 It is very easy to set up a business Facebook Page, even if you have only very basic computing skills. Why not make it one of your New Years business resolutions? If you don’t have a website, your own Business Facebook Page is a great alternative, and it is easy to keep updated from a mobile phone. You don’t need programming skills to change information on your Facebook page and posting photos of your latest products is very easy. 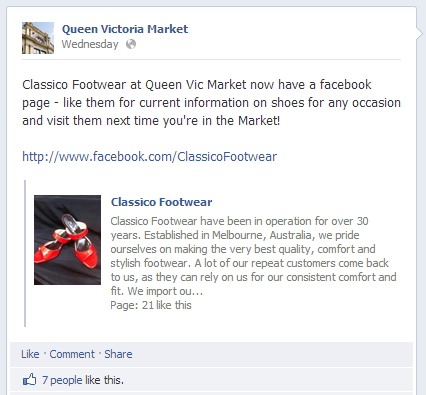 Your posts can be linked up with the QVM Facebook page with its 15,000 customers. Facebook have an excellent instruction page on their website which will take you through step by step (see the link below) but here are the basics. 1. You will need a computer or tablet. 2. 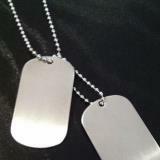 You will need a cover photo which goes at the top of your page to show what you are about. A photo taken with your mobile phone is fine. 3. Preferably you will have some sort of logo as well, but that is not essential. Problems along the way? – Just ask a fellow trader with a Facebook page, email us, or ring Greg Smith on 0406222020. 1. Brazilian cosmetic company buys 65% share in Melbourne’s Aesop for $68m. 2. Australian manufacturing industry shrinks for 10th successive month. 3. Australian capital city home prices fall for second year in a row. 4. Associate Professor of Environment and Planning at RMIT says high rise apartment development threatens Melbourne’s historic character. 5. Chinese manufacturing index records 19 month high. 1. KFC T20 Big Bash Melbourne Stars versus Sydney Thunder Tuesday 8th. 2. Kooyong Classic Tennis Wednesday 9th. 3. Cruise Ships In Melbourne. a. “Crystal Symphony” Friday 4th and Saturday 5th. b. “Silver Shadow” Monday 7th. c. “Voyager of the Seas” Tuesday 8th. d. “Seabourn Odyssey” Tuesday 8th and Wednesday 9th. e. “Diamond Princess” Wednesday 9th. f. “Dawn Princess” Thursday 10th. 4. Australian Grand Slam Coaches Conference Thursday 10th. The historic Aleppo Market in Syria was ravaged by fire this week as rebels and government forces continue their war. The event has triggered an evaluation of markets across the globe and much of the conversation is directly relevant to our own Queen Victoria Market. 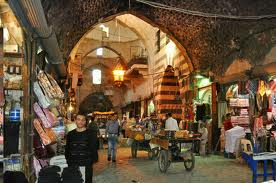 Aleppo Market was developed in the 15th and 16th centuries as a trading place for everyday goods spiced with the unusual and unexpected. It has survived a series of invasions, and religious and cultural changes. Until this week’s events it had shown incredible resistance (and no doubt it will be rebuilt) but Aleppo shows that the glue that binds markets is different. 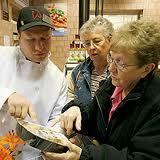 Markets offer a casual informality that contrasts greatly with the glass and steel deserts of more modern retailing. Markets are sometimes seen as untidy and ad-hoc, but it is the essence of informality and low cost operating that has ensured their survival over centuries. Somehow markets survive turmoil and you only have to look at the incredible variety of nationalities and cultures within our market as a good example. While many traders have religious counterparts overseas who are trying to kill each other, here we work side by side in a common bond that roughly translates to “trying to live a peaceful life, bring up our families, and earn a dollar”. These are simple aims that rise above those of governments and property developers and fortunately have relevance to our customers. A tough year for traders is behind us but we’d like to look at some of the highlights of 2012 through the eyes of the trader’s website. - Traders Make Submission To Council. This wasn’t the first submission made by a group of traders to the MCC but it was the first by General Merchandise Traders and it related to our ongoing campaign for recognition as an important part of the market’s make-up. - Best Coffee – And The Winner Is. This was a bit of fun but traders certainly got involved in choosing the market cafe that made the best coffee. - General Merchandise Still Short-changed In Tourist Brochures. An ongoing battle with management and the MCC is getting recognition for the contribution made by General Merchandise particularly in the tourist market. - Traders Meet With Lord Mayor. A letter to the Lord Mayor of Melbourne by one of our traders started the ball rolling for a series of meetings to discuss the future of the market. - Dear Mr. Doyle - Our Future ...YourSay - No.1. This article was chosen because of the huge response from traders on a variety of issues. - Grouping Stalls – The Case For. Who can forget the furore cause by this suggestion. - Tenants Force Malls To Cut Rents. This is one of many articles on retail rent reductions during 2012 and when it came to QVM in the November rent review we had a win (no increase for SL Traders) and a loss (a small increase for PE Traders). - Mass Meeting To Examine QVM Future – A significant event in 2012 was the first meeting of all traders with the CEO of the MCC, The MCC design guru Rob Adams, and the Chair of the QVM Board, Paul Guerra. - What Do You Think Of M Shed? – The new String Bean Alley concept gains comments from traders. - Traders Refer Tourism Request ToBoard. The long battle to get focussed marketing to tourists is referred to the QVM Board. - TAC Election Results. A well contested election of trader’s representatives reaches conclusion. - Restrained Feedback Meeting LaysFramework. The headline attempted to show some optimism but this meeting with the MCC and QVM Board was a fizzer. - STOP PRESS – The QVM A Winner InCouncil Elections. Robert Doyle’s re-election was seen a positive although not all agreed. - Leah and Austin Charm Neal Mitchell. As the debate over the future of the QVM hots up, a Neil Mitchell live broadcast from the market gains attention. - What Is QVM? This question was raised at a TAC meeting and is significant as we plan to review many aspects of the market’s operation heading in to 2013. Most Read - Three articles gained the highest readership in 2012. - Australia Post Partners With New Online Store – this story relates to Tarazz, billed as Australia’s largest online mall, who had partnered with Australia Post for logistics support. 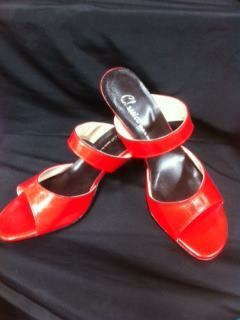 The article was published on 5th August and we we can’t say Tarazz has become a household name yet. - Debunking The Reasons For Retail Downturn – 27th January. Many reasons have been given for Australia’s retail downturn and this article focussed on Australians travelling, and spending, overseas as a significant contributor. - Management Refuses Extension To ElectionProcess – 6th July. This story referred to QVM management’s refusal to give General Merchandise Traders more time to prepare traders for an election of their representatives to the TAC. In the end a full election was held.